It is made by cutting graphite coiled material into bands separately through high-precision lathe and then rolling the bands to be in corrugated shape through special corrugated pressing roll. When used as a packing stuffing box, the graphite band is directly wound on the shaft of pump or valve until the wound graphite band is in a certain size, and then the graphite band is compacted with gland. The band is quite convenient for the emergency maintenance of small-diameter valves and so on, greatly reducing factory stock. 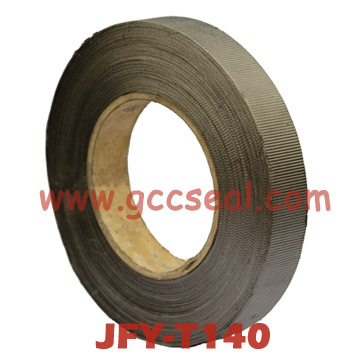 Metal net enhanced graphite corrugated bands can also be provided.